Heat 1 tbsp of cooking oil on high, then add 3 cloves of chopped garlic. Then add 1/2 cup of sliced onion and stir fry for about half a minute. Now add 3 tbsp of Maesri Nam Prik Pao (SKU 625.25) (chilli paste), and mix until the paste begins to melt. 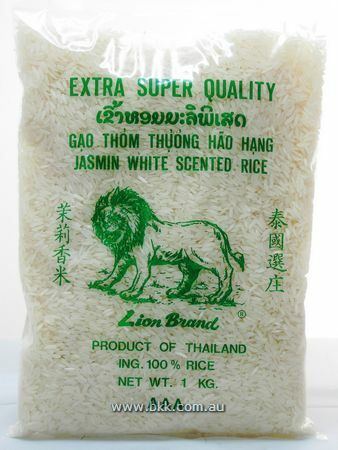 Now add 2 cups of steamed Lion Brand Jasmine Rice (SKU 100.38) (cooled and refrigerated overnight). Mix everything together whilst frying for roughly 1 minute, Add 2 tbsp of Megachef Fish Sauce (SKU 425.17), 3 chopped red bird eye chillies, and 2 chopped spring onions. Stir fry everything together for a final 1 to 2 minutes.